Sometimes all you need is a bed at the end of the night, but what really gets my attention are hotel rooms with a view. Whether the view is a panoramic mountaintop, stunning waterfront, or a vineyard, take in the vistas from my favorite hotels, from Boston to Florida, Colorado to Washington State, Caribbean to New Zealand. 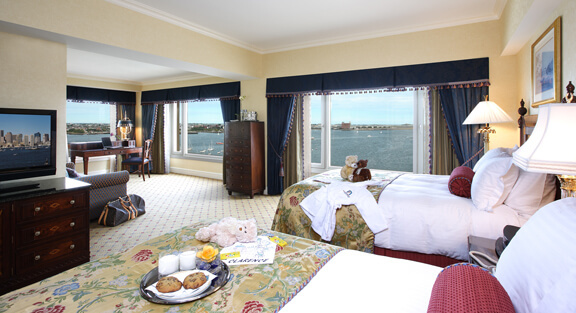 Just try to resist the views from your Boston Harbor View Deluxe room. The Boston Harbor Hotel at Rowes Wharf offers both location and luxury, a perfect combination for your stay in Beantown, USA, but it’s the waterfront view that pulls you in. Built on a harbor, I challenge you to resist the views from your Boston Harbor room. I couldn’t as multiple times I watched the waterfront activity below me from the oversized windows. Step onto the balcony of your room and be prepared for surf and sand relaxation at The Shores Resort & Spa! How can you not with the 5.5 mile stretch of Daytona’s sandy beach and the waves from the Atlantic Ocean directly below. 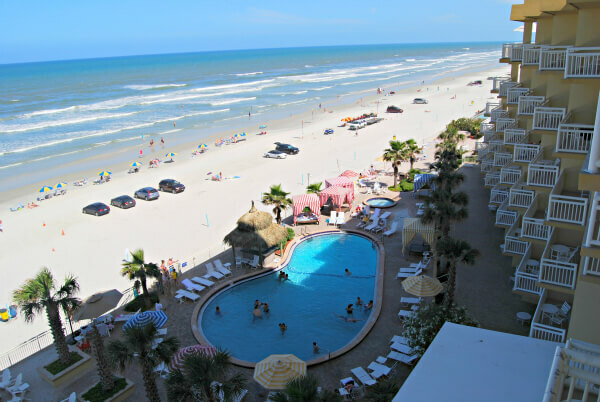 at the only AAA Four-Diamond Oceanfront resort in Central Florida, the Shores Resort & Spa, and your view is the 5.5 mile stretch of Daytona Beach Shores’ sandy beach and the Atlantic Ocean or Intracoastal Waterway. Below my balcony, I was also teased with the hotel’s outdoor dining, tiki bar, and beachfront pool. 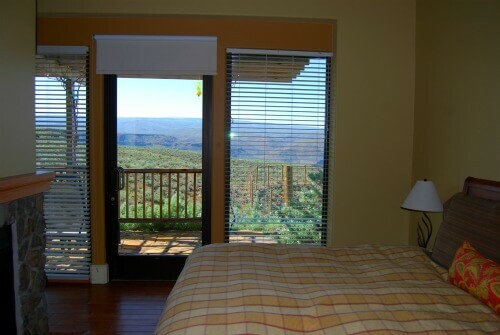 An ocean view room is definitely worth the additional cost! View of the Atlantic Ocean from your Shores Resort & Spa suite, overlooking the pool and beach from your room. When you’re searching for a mountain escape, One Ski Hill Place, A Rock Resort, gives Colorado travelers everything they’re looking for – luxury ski resort lodging with slopeside access to everything Breckenridge – and a room with a view! 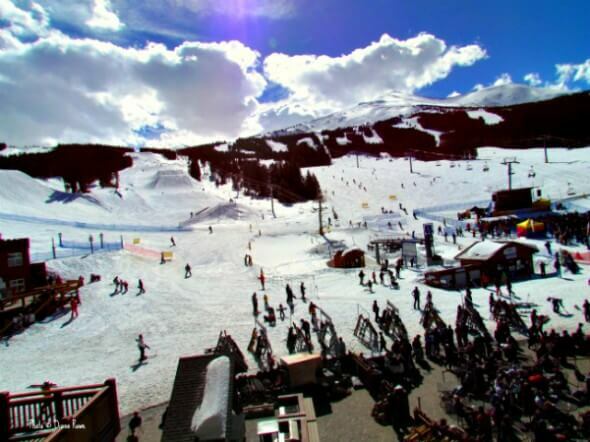 Located at the base of Peak 8, One Ski Hill Place is the quintessential year-round Rockies destination, with skiing just steps from your hotel room and convenient access to many Breckenridge activities including Breck Fun Park, mountain biking, golf, and horseback riding. One Ski Hill Place is located at the base of Breckenridge’s Peak 8. Downtown Rapid City is home to the eco-friendly Adoba Eco Hotel and a Black Hills themed of a view in your hotel room. 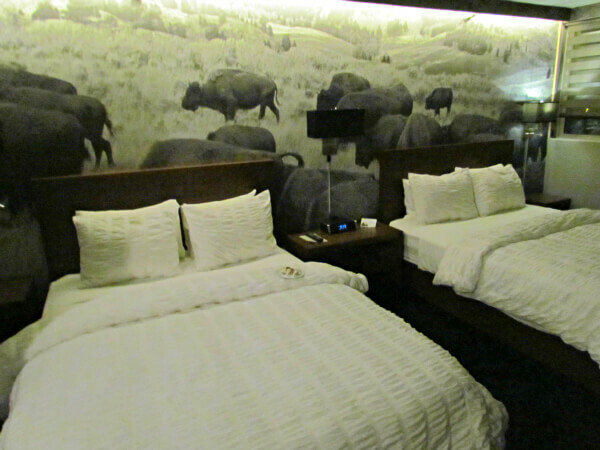 The stampeding buffalo mural is the highlight of the room with soft lighting, fluffy white down comforters, with a stampede going on above your pillow. The murals (Terralon) are part of their eco-friendly footprint, made of recyclable materials.There’s a lot more going on in this Midwestern town, and after a good night’s sleep, all you need do is hoof it to the many activities within walking distance of your hotel. Your view doesn’t get any better than Cave B Inn at SageCliffe. Your accommodations are casitas, literally by the 120-acre vineyard. The landscape is windswept sagebrush against rugged basalt cliffs that rise 900 feet above the Columbia River. Hello water, baby! At the St. Kitts Marriott Resort, your 5-story oceanfront resort overlooks the Atlantic Ocean Just one look from your balcony and you’ll be unable to resist the resort’s three freshwater pools with waterfalls and multilevel sundeck. Kick off your flip flops and walk into the sand, and you can dip your toes into the Atlantic. Located literally across the street from the Mediterranean and its coastal promenade, my hotel room at the Dan Panaroma Tel Aviv Hotel tantalized me with a view of the Israeli coastline, steps away from the . 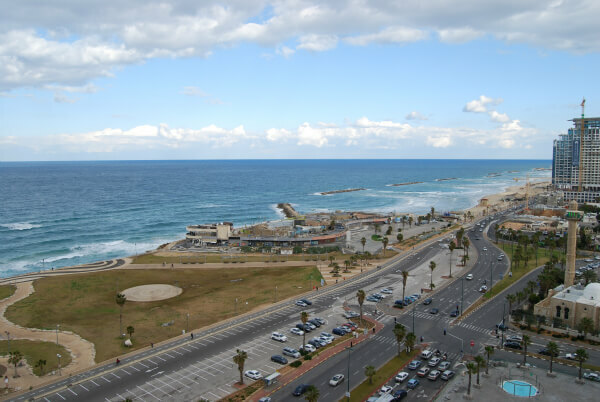 Old Jaffa is a 10 minutes away, and also nearby are Charles Clore Garden, Rabin Memorial, Tel Aviv Museum of Art, Azrieli Center and Suzanne Dellal Center for Dance and Theatre. A stroll along the coastal promenade leads to the flea market, scenic harbor of ancient Jaffa, or to the outdoor cafés of Tel Aviv – priceless! 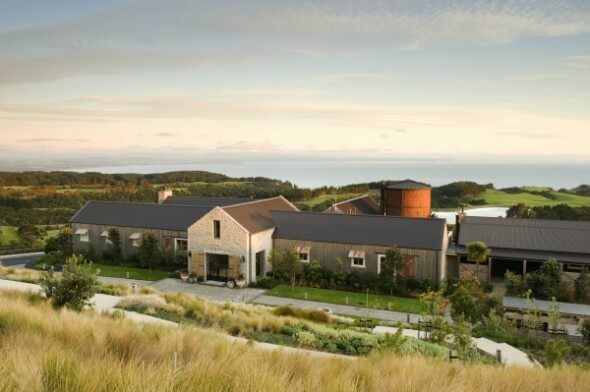 Enter the rural surroundings at the Farm at Cape Kidnappers. You are literally inside a New Zealand ranch, now a five-star luxury lodge hotel in Hawke’s Bay, New Zealand. Sheep and cattle still roam the 6,000 rolling acres of pasture land, but these farm animals only add to the ambience. And the views on this massive property are mind-numbing including 180-degree vistas of the Pacific Ocean, and you will truly feel you’ve escaped from it all.